The Technology Center, located on the lower level of the library, offers a variety of learning opportunities and a quiet, comfortable area where visitors ages 12 and up can read, work, and study. The Tech Center offers weekly classes and events. 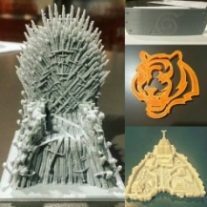 3D Thursdays—Come see the 3D printer in action and learn how to design an object. Located upstairs on Thursdays between 5:30 and 6:30. Maker Classes—Learn all aspects of coding and making with the Raspberry Pi as well as how to design and print with the 3D printer. 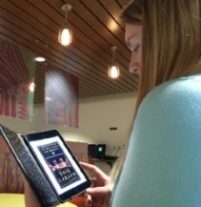 In addition to classes, the Tech staff is also available to work with you on a one-on-one basis any time the Library is open to help with set up or help troubleshoot app issues. Once a year in December, we participate in the Hour of Code. 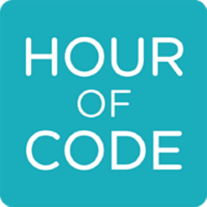 For more information check out hourofcode.com. For the full schedule of events, check out our Events page or drop in to the Tech Center during your library visit!